We are very disciplined and experienced company that specializes in offering only a first class quality cleaning services in the London area. We have worked many years and we have make efforts to achieve success in the cleaning industry and to be helpful for all the customers that have chosen us. There are people who are reluctant to trust a professional cleaning company, however we know that we can totally change your point of view. 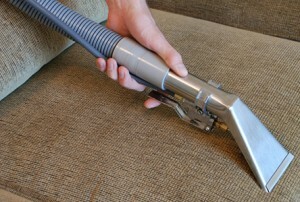 Now, we are offering to your attention the perfect upholstery cleaning, suitable for all of your furniture. We are convinced that if you want to preserve the good appearance of your sofas and chairs, we can help you in this achievement. We are full of energy and creativeness and we accept every task as a challenge. We will demonstrate you several cleaning technologies, suitable for your furniture, no matter of its type. If this offer sounds tempting for you, we are encouraging you to contact us right now and receive the top quality upholstery cleaning. Instead of throwing away your sofas and furniture you can simply use the professional cheap services of our company and forget about this problem. CleanersCricklewood promise to change the poor appearance of your furniture and to make your premises more welcoming than before. Our competent team of technicians is able to cope with old stains, that are usually hard to be removed from the furniture. For that purpose we use the most modern cleaning equipment that has a guarantee to be efficient. You can make an appointment with our friendly staff at any time that would be convenient for you, so do not miss the opportunity to receive the unique upholstery cleaning. To give you even more information we will be glad to offer you the call centres that will work even at the weekends to be at your disposal.